Blackout cloth is used widely in theaters, museums, art exhibits, haunted houses, laser rooms and other applications in which natural light needs to be kept out of a room. Usually all blackout fabric is black, and has some level of napping or raised pile on one side. The napping is what makes the fabric opaque. All these are considered flame retardant fabrics since most states require wall hangings and drape panels to be FR. 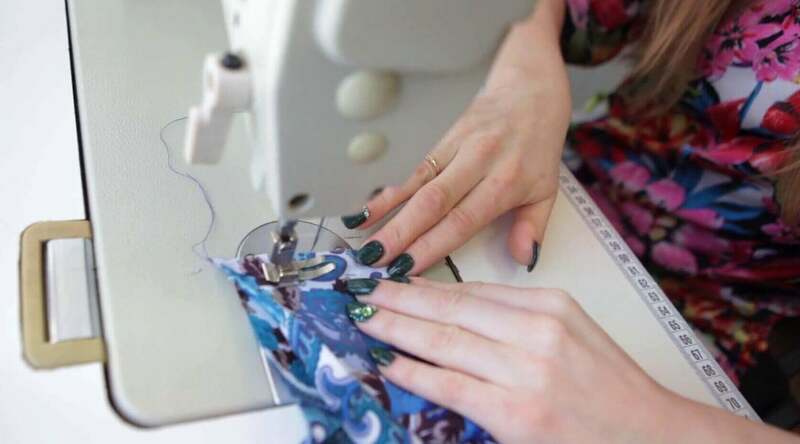 We have a few different fabrics to choose from that are common in the industry. 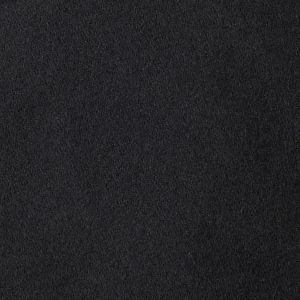 Duvetyn Roll – Black, napped fabric made from 100% cotton, this fabric is considered 90% blackout. Standard width on this fabric is 54″, and 1 linear yard of duvetyn weighs approximately 12 ounces. Duvetyne is sold by the roll or by the yard, and all FR certs are available. 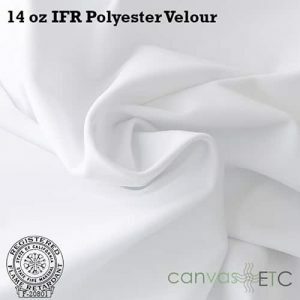 This fabric is also available in white, but visit this page to see it: White Duveytn. Duvetyn should not be laundered and should only be used indoors. 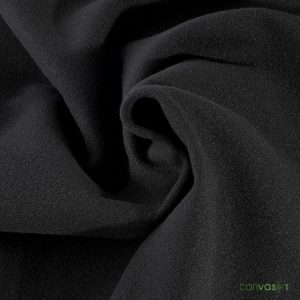 Commando Blackout Cloth – Very similar to duvetyn, commando is completely opaque for true blackout. 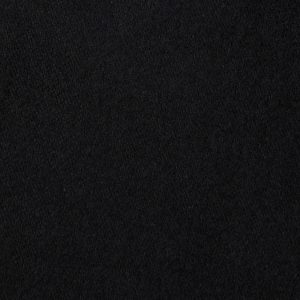 This fabric is also 100% cotton, dyed black, napped on one side, and finished with a flame retardant finish. One linear yard of this fabric weighs about 16 oz. Commando cloth is the industry standard for blackout because of its price point and functionality. Commando cloth should not be laundered and should only be used indoors. 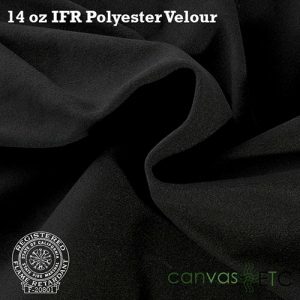 14 oz Poly Velour – Velour is a black napped Inherently flame retardant fabric that is also opaque. 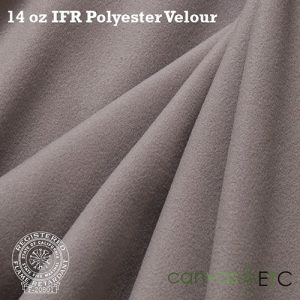 Priced higher than the cotton commando cloth, velour can be laundered multiple times and still retain it’s color and flame retardant properties. 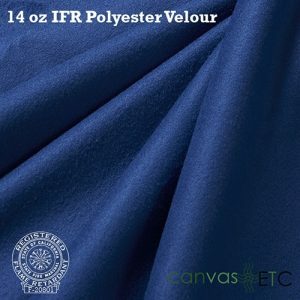 This fabric is the go to fabric for home theaters, art exhibitions, high end car dealerships. It’s plush velvet look boasts quality. 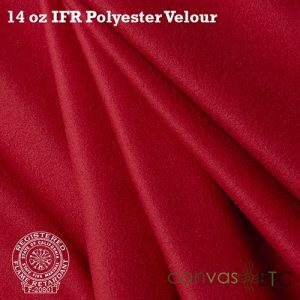 14 oz Velour is made from polyester inherently flame retardant yarns and can be used indoors or outdoors. Inherently Flame Retardant (IFR) – Before weaving or knitting the yarn is extruded with flame retardant additives. It’s as if Flame retardancy was introduced at it’s DNA. Fabrics made with this yarn can withstand multiple washings without losing FR properties. Usually more expensive than regular FR fabrics, these fabrics outlast regular FR fabrics. Flame Retardant (FR, NDFR-non durable flame retardant) – This is where the flame retardant agent is mixed in with the dyes. The fabric is already woven, and knitted and is immersed in a bath mixture of color dyes and FR chemicals. This is usually considered a topically treated FR fabric, and hence called non durable flame retardant. Do no launder or use fabrics that are just FR outdoors!